In face recognition, searching and retrieval of relevant images from a large database form a major task. Recognition time is greatly related to the dimensionality of the original data and the number of training samples. This demands the selection of discriminant features that produce similar results as the entire set and a reduced search space. To address this issue, a Multi-Level Search Space Reduction framework for large scale face image database is proposed. The proposed approach identifies discriminating features and groups face images sharing similar properties using feature-weighted Fuzzy C-Means approach. A hierarchical tree model is then constructed inside every cluster based on the discriminating features which enables a branch based selection, thereby reducing the search space. The proposed framework is tested on three benchmark and two self-created databases. 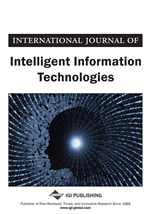 The experimental results show that the proposed method achieved an average accuracy of 93% and an average search time reduction of 66% compared to existing approaches for search space reduction of face recognition. Face Recognition (FR) (Zhao et al., 2003) deals with identifying the correct face from a large face image database. When an image is acquired, the task of FR system is to find the best match from the existing set of images. The main idea that drives further research in the area of FR is its wide applications such as biometric based authentication (Li and Hwang, 2010; Robert et al., 2005), Human-Computer Interaction (HCI) (Preece et al., 1994) and surveillance systems (Valera and Velastin, 2005). Face recognition represents an essential and nonintrusive method of recognizing people and that is why it has become one of three identification methods used in e-passports and a biometric of choice for many other security applications. Humans are very good at recognizing faces and complex patterns. This capability is not affected by even a passage of time and therefore it would help if computers become as robust as humans in face recognition. Face recognition is still a vividly researched area in computer science. Many techniques have been proposed for FR over past decades. Two well accepted algorithms are the Principal Component Analysis (PCA) or Eigen faces method (Jolliffe, 2002) and Linear Discriminant Analysis (LDA) (Mika et al.,1999) which are not only used as benchmark methods to compare new methods but also as base methods for many other techniques to evolve. The comparison of two simple frontal images in controlled conditions is practically a solved problem. But when variations in images caused by Pose, dynamic Illumination conditions and Expression (PIE) or age are introduced, the ability of humans to recognize faces remains excellent compared to machines’ and it can be safely said that the machines are currently not even close enough. Moreover, when the image database is large, the time complexity of algorithms for searching and retrieving matched image increase linearly with size of database and the performance of the FR system deteriorates. Clustering (Bailey, 1994; Jain et al., 1999) plays a vital role in content based image retrieval (Ali, 2007; Lai et al., 2012; Zhang & Sugumaran, 2014) face recognition systems (Huang et al., 2014; Choi et al., 2010). It also facilitates search space reduction of large scale face recognition. An efficient clustering method can group similar images of a dataset into one cluster. The search space can be reduced if the images dataset is grouped or clustered and restricting the search to a cluster space instead of entire space. Hence, when there is a need to recognize an input face, the search space gets reduced to the cluster which is closer to the query image. This reduces the searching time. Thus search space reduction enables efficient and robust face recognition. This paper focuses on search space reduction of large image database for speeding up the search and retrieval process. A Multi-Level Search Space Reduction (MLSSR) framework is proposed which employs two-level reductions in the large face image search space. The proposed framework groups the images in database in the form of clusters to achieve first level reduction and search is restricted only within the cluster closer to the query image. In the second level, a hierarchical tree model is constructed with the images in the cluster and a branch selection algorithm is employed to retrieve the matched image. Both clustering and hierarchical model in MLSSR framework, are based on discriminant features obtained from the full set of extracted features. Robust face recognition based on MLSSR framework that comprises both clustering and hierarchical tree model within each cluster for reduced search space.